DO MORE – SAVE MORE! Sell your property under your own terms, at your own time while still receiving expert advice! Sellers choosing the Owner Assisted option will receive exposure on REALTOR.ca, OptionsRealtyLakeland.ca, and our many social media platforms. *Potential savings utilizing Options Realty Lakeland Owner Assisted Package versus paying 7% on the first $100 000, and 3% on the balance of selling price. Prior to a ruling by the Federal Government Competition Bureau in 2010, access to the Multiple Listing Service was limited to Real Estate Brokerages that offered “full services” when listing a property. It did not matter if this Brokerage was a Discount Brokerage, or a more traditional Full Service Brokerage; if the home was listed on the MLS® System, the REALTOR was required to enter into an agency relationship with the seller. The most significant change that came about from this rule change was that REALTORS are now able to list a property on the MLS® System without entering into an agency relationship with the seller. This has opened up the doors to alternative real estate models that allow the Brokerages to choose what services they wish to offer. A Brokerage is now able to list a property on the MLS® System and then have no more involvement in the sale of the property. This type of listing in called a “mere posting” and is the basis for our “Owner Assisted MLS® Listing Service”. Call us today and one of our representatives would be happy to explain to you how our program works. If you would rather have this first meeting in person, we can do this too! Once you have chosen which “Owner Assisted” Package you want, we will get started on compiling the information needed to complete the listing contract. Once we have all the information necessary, we will call you to make an appointment to go over the contract, decide on pricing, take measurements and photos, and collect our fee. We will then go back to our office and load your property onto the MLS® System which will display your property on REALTOR.ca, the most visited real estate website used home buyers in Canada. Your property will also appear on a number of other Real Estate Websites in Canada via the DDF (Data Distribution Facility) operated by CREA (the Canadian Real Estate Association). 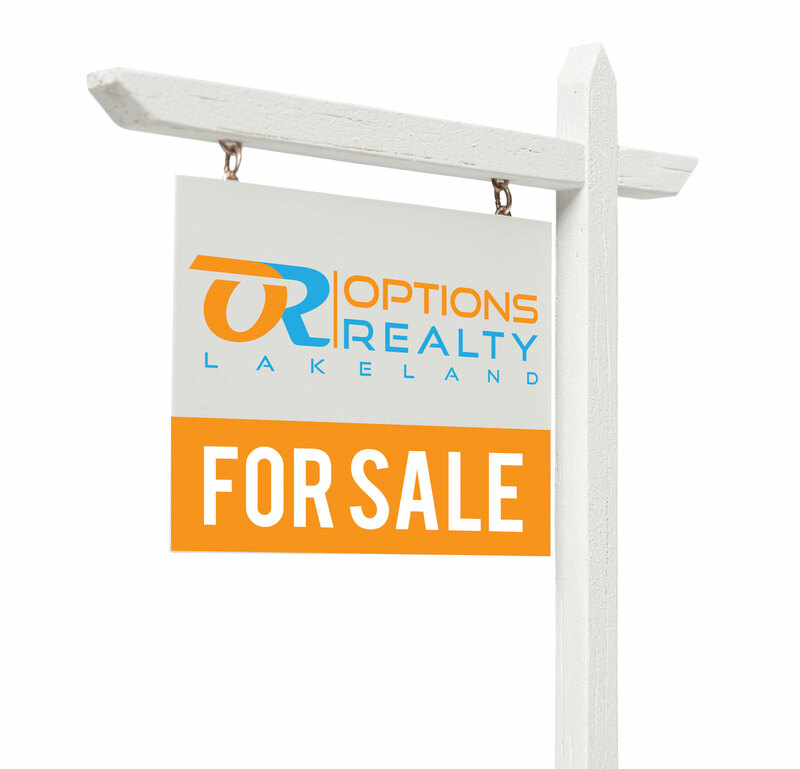 Lastly, your property will be listed on OptionsRealtyLakeland.ca and our Facebook page. With your property priced right, and all the exposure you will receive from having your property on the MLS® system, third party websites, our website and Facebook page, you should expect to hear from Buyers and Buyer’s Agents very soon. Do More – Save More. Using forms and contracts that we provide you with, write up the offer to create a legally binding contract. Or, if you don’t feel comfortable with this stage of the sale process we can help you with that too! All you need to do is add our “Negotiations, Contracts, and Conveyancing” package for an additional $1299+GST, and we would be happy to assist you with this very crucial stage of the sale process. Once all of the conditions have been removed from the contract, all that is left to do is convey the deal to your lawyer who will look after the necessary paperwork and title transfer. Your lawyer will also work to protect your interests, and ensure that everything goes smoothly until possession day. Extend existing listing for an additional 6 months. * GST applicable. The Extension is for an existing listing, providing it has not expired on our system. Understanding Buyer’s Agent Compensation – As your listing will be seen by all the local REALTORS through their own private database, you should be prepared to handle a situation where you are contacted by a Buyer’s Agent looking to show your property. Buyer’s Agents are typically paid a split based on what the Listing Agent charges their client to list the property. Depending on the property and the market in which it is listed, this could be 7% on the first $100,000 and 3% on the balance of sale price, in which case the Buyer’s agent would typically receive 3.5% of the first $100,000 and 1.5% of the balance. In the case of your listing, Buyer`s Agents have not received any incentive to show or sell your property, as they are not being offered any compensation. Simply put “No Compensation” equals “No Cooperation”. In order receive cooperation from the majority of Buyer’s Agents, we recommend that you offer a cooperating commission to any Buyer’s Agent that brings you an offer. Does this mean that you have to offer 3.5% of the first $100,000 plus 1.5% of the balance? Absolutely not, Buyer’s Agents know that increased competition in the marketplace has eroded those hefty commission rates, and are quite often willing to cooperate for less money. While it is totally up to you, or if, you will offer a cooperating commission, we highly recommend that you offer a minimum of 1% of the sale price in order to garner the cooperation of the Buyer’s Agents. Be wary of other FSBO (For Sale By Owner) Brokerages that do not discuss Buyer’s Agent Commissions with you, while trying to sell you their services. Of course, if you sell your home directly to the Buyer, all of this will be a moot point, and you will save yourself thousands of dollars. We are progressive. We offer a number of ways for our clients to save money: Full Brokerage Services at a Fixed 2% Commission Rate or Owner Assisted MLS® Listing Service. Proudly serving Bonnyville, Cold Lake, Elk Point, St. Paul.